Sometimes when I’m sick, or sad, or upset, or frightened, there’s nothing better than curling up on the couch, wrapped in an old quilt or comforter. My favorite one for those moments has always been one that was crocheted by my mom when she was in college in the 1950’s, so it has floated around comforting family members for sixty years! It’s a little faded and fuzzy, and the colors are now “retro,” but it does a great job. I think this is one of the ways we experience the Holy Spirit; as God’s presence reaching out to enfold us in a warm embrace when we feel most alone. 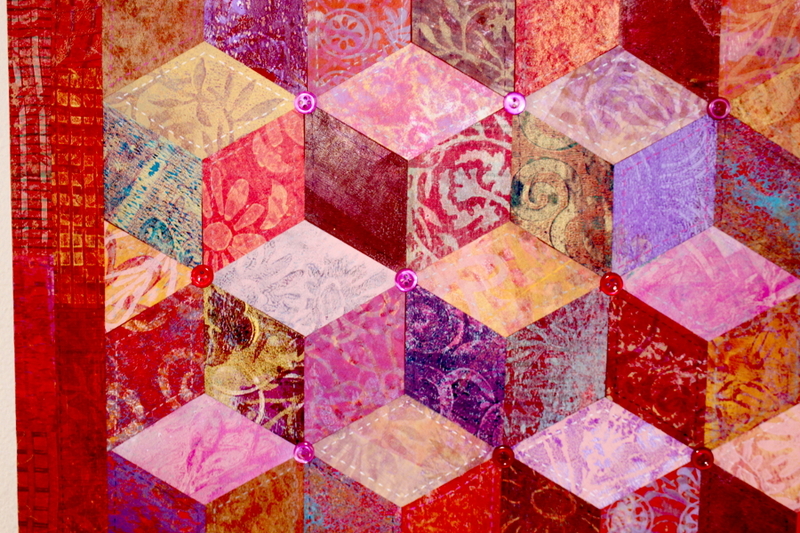 The papers that make up this piece were made after I taught a Play-Shop on mono-printing. The buttons are real (found in the bottom of the button box I inherited from my grandmother, and dyed pink and red to match the Pentecost colors,) but the stitching is not; the stitched lines are drawn with ink. If you’re interested in coming and making art with me, click the link above for up-coming Play-Shop listings! How lovely, both the artwork and your story to accompany it. I love the image of the Spirit and Comforter as a well-loved and used quilt. Thanks! 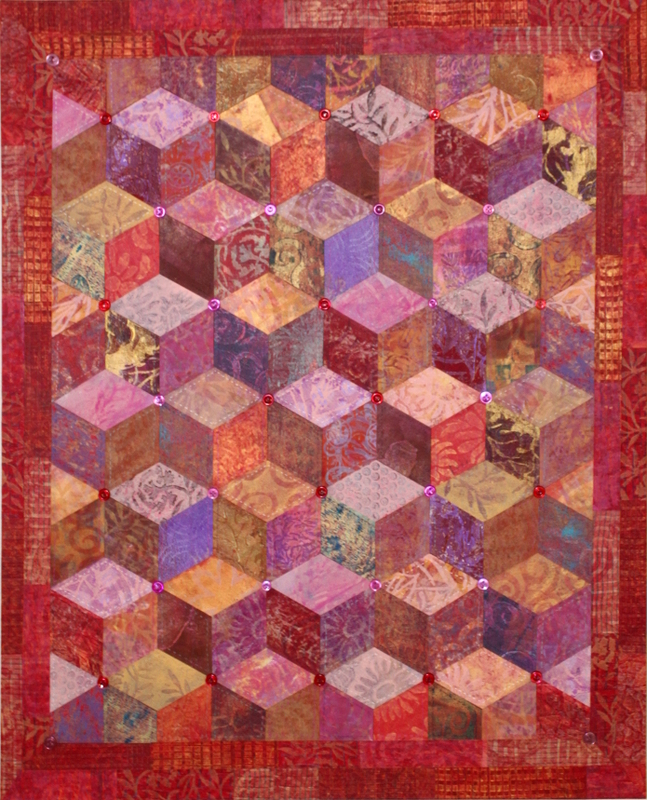 When I quilt, this pattern is called “Baby Blocks”. In concurring with your thoughts, I call them “building blocks”. How comforting and reassuring are those stepping stones that secure our lives giving us a strong foundation to venture further into the unknown passages of our journey!